Do you have ever use in your residence put some electrical cord plug to one adaptors? 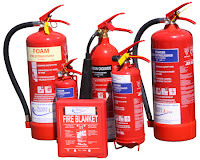 I think many people ever use it, many reason one of the may take economic and simple think without thinking fire risk. 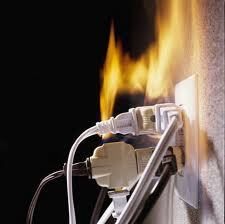 Fire can be produce by overload electrical cord to one adaptors. Electrical circuit overloads happen when more amperage is put across an electrical wire or circuit than it can handle. For instance, a #14 wire can safely carry 15 amps and should be protected by a 15-amp breaker. If it happens to get connected to a 20-amp breaker instead, the breaker will allow 20 amps of current to flow through a wire that can only handle 15 amps. The wire and breaker start to heat up and could cause start an electrical fire. Ampacity can be calculated by dividing the amount of wattage by the voltage. Let's say you have a 1,000-watt hair dryer that runs on 120 volts. Divide that out and you'll get 10 amps of current draw. On a 20-amp circuit, that's half of the circuit used already. Electrical hazards are the cause of numerous workplace fire each year. 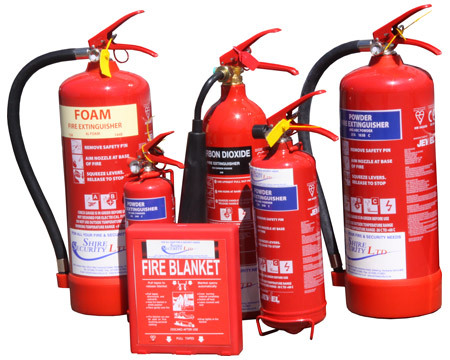 Faulty electrical equipment or misuse of equipment produces heat and sparks that serve as ignition sources in the presence of flammable and combustible materials. So, that’s way if you want to connect more than one electrical cord, you have to use only for temporary and under monitoring. We want share to any reader when use electrical just follow to Electrical Fire safety, in order no fire will be presence in your house or workplace. When using extension cords are only approved for temporary use. They may only be used for a period of three days or less. When using extension cords check for defaults such as frays, brittleness, or broken wires. Never place extension cords in high traffic area where they can damaged by being stepped on or run over by equipment. Never underestimate the fire risk from electricity. No Flame does not mean no risk. Electric wires do not even need to touch anything for a spark to jump and fire to atart. Always turn off and unplug electrical appliances when they are not being use, unless they are designed to be left on (for example, freezers and video recorders). · Watch out for hot plug and sockets, fuse that blow for no reason, flickering light, and scorch marks on sockets or plugs. · Check electrical leads and plugs for wear and tear and faulty wiring. Frayed lead or exposed internal wire are fire risks. · Do not overload sockets, use one plug in each socket. · Keep electrical leads, plugs and appliances away from water. · Keep electrical appliances clean and in good working order, and have them serviced regularly. This is especially important for washing machines and tumble dryer that may be left on overnight. · Never buy an electrical appliance without knowing it is safe to use. If the appliance is second hand, always have it checked by qualified electrician before you use it. 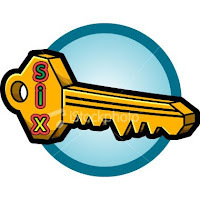 · Should only be used for office equipment such as computers, printers, and fax machines. · Other common items such as microwave, refrigerators, and copy machines must be plugged directly into wall outlets. 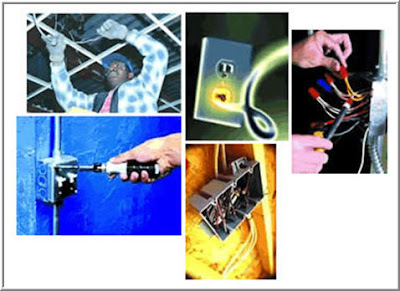 · Multi plug strips should have a fuse or circuit breaker and be UL approved. o Through away and replace damaged cables. Never use tape to mend or join cables. o Never run cables under mats or carpets where you cannot see wear and tear. o Do not plug adaptors into adaptors, use one adaptor in each socket. · Do not allow total amps of all plugs in the adaptor to add up to more than 13 amps (or 3000 watts of power). · Do not plug adaptors into adaptors, use one adaptor in each socket. · Keep the outer covering of the power lead securely inside the plug. Make sure the internal wires are firmly in place and thet the right color wire is in the right place. · Never use three prong adapters that allow a three pronged plug to plug into a two prong outlet. · Never use any item with a damaged or frayed electrical cord. · Space heaters are not allowed in campus building. · Make sure you test the smoke alarm’s battery regularly. In the life of human being, Fire is one of important thing to helping many activities. most of people use fire for support to many thing such as cooking, smoking, burning garbage, welding and others. In automotive fire is so important, without its, no source of ignition that mean no power any more. In condition at under control fire much more benefit but when we are careless or ignored, fire going to big enemy and burn to many thing else where that they are passing. Uncontrolled small fire will be disaster to all people, so we have to be pay attention when we are working with fire. Today,s we got so many news from media such as newspaper, television and other real vision that fire already destroy building, housing, forest and so on. Housekeeping is more than just how to clean up you room. Many assumes that Housekeeping is only sweep the floor, clean up the room this is not true, but housekeeping is more than all things. Housekeeping it is mean that we have to be maintain something in order to look anything clean, tidy, neat and lately to keep up the life time of equipment or tools, so what will we do?. We just little bit changing to our behaviour to always keep clean up to our environment and care with surroundings workplace, when you look your area is dirty and crowded , so take action to soon grab it and put it in correct place or waste bin. Workplace area is always look clean, tidy and neat. Perfect documentation due to waste handling till storage. Complete label and sign so any how who will handling understood the hazard from the waste inside. I mean we should keep all above in good condition and routine join together to keep up our environment Safe and Health. Let,s to keep up our surrounding area always clean and tidy, because it will be avoided from any injury or event incident. Earthquake is something that horrify. Situation that make people panic and confuse at the time of the happening of earthquake. 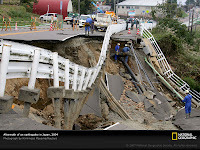 This condition Emergency claim each and everyone know how to face earthquake situation truly. Muzziness And panicity will cause somebody will face injury and dangers to menace soul safety. Stay as safe as possible during an earthquake. Be aware that some earthquakes are actually foreshocks and large earthquake might occur. Minimize your movements to a few steps to a nearby safe place and stay indoors until the shaking has stopped and you are sure exiting is safe. Drop, cover and hold-on in each safe place. Drop under sturdy desk or table, hold on and protect your eyes by pressing your face against your arm. Stay away from window and bookcase or tall furniture that could fall on you. Stay away from doorways where door can slam shut. If you are in bed, hold on and stay there and protection your head with pillow. Please chec k your gas first before using it from any leak or unfix gas pipe. Don't keep any flamable liquid, explosion material, near your oven and stove. Don't use your oven extra storage for flammable thing such as paper, plastic bag, dishtowel, plastik container, because event you don't turn the oven on, the pilot light can ignite the objects inside. If you fell have a gas stove and smell gas (beyond a burnt-out pilot light), turn off all burners, open windows for better ventilation . Be cautious when relighting pilot lights: make sure the room is well ventilated and use long-stemmed matches or lighters. Never use your stove (electric or gas) to heat the room. Never to cut off fire with splush of water, because it will be worse for the fire it self, and makin fire to be over. Better use a fire blanket or towel with previously keep it wet to shutdown the fire in your stove if you don't have fire extinguisher. Always carerefull from many fire hazard. Use potholders (as opposed to rags, that may catch fire) when moving any hot object. WHO was injured? The goal of WHO question is to determine who saw the accident? It is important when accident happen. We need witnesses to help the investigator in order to understand who participate to the caused of accident such as who installed the faulty equipment, and also who was responsible for installation. WHAT happened? What was the cause of accident? What did the injury worker do or fail to do? What equipment or facilities were involved? WHERE did the accident happen?Where was the injured worker's supervisor at the time of the accident? " Where" question will be help to determine what caused the accident and the events leading up to it. WHEN did the accident accur? "When" question should contain more information than just a clock reading. Though the time of the accident accurrence is very importan to know , relationships are often more important . "When" question ask such question as: When did the injured worker take the guard off his or her machine? When was the injured person last given safety intructions? "When" question also elicit information or relationships between activities or events. HOW? "How" also provide information on the interaction and relationships between activities and events. How did the accident happen? How well was the worker intructed to perform the task?How did the guard fall off te machine? Electrical injury is happen in many workplace area and exposes worker to serious injury till death and about 1,000 people die annually of electric shock in the United States. It is happen caused worker or workplace area didn't set up with safety condition or low worker understanding to electrical management. Many workers are unaware of the potential electrical hazards present in their work environment, which makes them more vulnerable to the danger of electrocution. Accidental contact with exposed parts of electrical appliances or iring. Young children biting or chewing on electrical cords, or poking metal objects into the electrical outlet. Flashing of electric arcs from high-voltage power lines. An electrical injury can occur to the skin or internal organs when a person is directly exposed to an electrical current. An electrical injuries can be caused by a wide range of voltages but the risk of injury is generally greater with higher voltages and is dependent upon individual circumstances. Cardiac arrest due to the electrical effect on the heart. When an electrical current passes through the human body it heats the tissue along the length of the current flow. This can result in deep burns that often require major surgery and are permanently disabling. Burns are more common with higher voltages but may occur from domestic electricity supplies if the current flows for more than a few fractions of a second. persons who receive an electric shock often get painful muscle spasms that can be strong enough to break bones or dislocate joints. This loss of muscle control often means the person cannot ‘let go’ or escape the electric shock. The person may fall if they are working at height or be thrown into nearby machinery and structures. Overloaded, faulty, incorrectly maintained, or shorted electrical equipment can get very hot, and some electrical equipment gets hot in normal operation. Even low voltage batteries (such as those in motor vehicles) can get hot and may explode if they are shorted out. If safely possible, shut off the electrical current. Unplug the cord, remove the fuse from the fuse box, or turn off the circuit breakers if possible. Often, simply turning off the appliance itself will not stop the flow of electricity. If the current can't be turned off, use a non-conducting object, such as a broom, chair, rug, or rubber doormat to push the victim away from the source of the current. Don't use a wet or metal object. If possible, stand on something dry and non-conducting, such as a mat or folded newspapers. Do not attempt to rescue a victim near active high-voltage lines. Once the victim is free from the source of electricity, check the victim's airway, breathing, and pulse. If either has stopped or seems dangerously slow or shallow, initiate first aid ( CPR ). If the victim has a burn, remove any clothing that comes off easily, and rinse the burned area in cool running water until the pain subsides. Give first aid for burns. If the victim is faint, pale, or shows other signs of shock , lay the victim down, with the head slightly lower than the trunk of the body and the legs elevated, and cover the person with a warm blanket or a coat. Stay with the victim until medical help arrives. Electrical injury is frequently associated with explosions or falls that can cause additional traumatic injuries, including both obvious external injuries and concealed internal injuries. Avoid moving the victim's head or neck if a spinal injury is suspected. Administer appropriate first aid as needed for other wounds or fractures. DO NOT touch the victim with your bare hands while the person is still in contact with the source of electricity. DO NOT remove dead skin or break blisters if the victim has acquired burns. DO NOT apply ice, butter, ointments, medications, fluffy cotton dressings, or adhesive bandages to a burn. DO NOT touch the skin of someone who is being electrocuted. DO NOT get within 20 feet of someone who is being electrocuted by high-voltage electrical current until the power is turned off. DO NOT move a victim of electrical injury unless there is immediate danger. Teach your children about the dangers of electricity. Avoid electrical hazards at home and at work. Always follow manufacturer's safety instructions when using electrical appliances. Parents of small children should put safety guards on all electrical outlets, and keep children away from electrical devices.